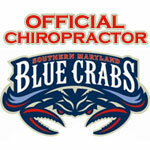 Dr. Frank Alfano is a licensed Chiropractor serving the LaPlata community. Dr. Frank Alfano has been freeing people from pain in the clinic in LaPlata, MD. As a Chiropractor with experience, Dr. Alfano is committed to promoting optimal health and well being of patients. Dr. Alfano uses a "whole person approach". This approach to wellness means looking for underlying causes of any disturbance or disruption (which may or may not be causing symptoms at the time) and make whatever interventions and lifestyle adjustments that would optimize the conditions for normal function. Using this unique approach, Dr. Alfano is able to help you to accelerate and/or maintain your journey to good health. Dr. Alfano has been practicing for over 30 years. He has treated over 10,000 patients in his career. He is one of only a few doctors in Maryland who has achieved Advanced Certification in treating auto accidents from the Spinal Research Institute of San Diego. He is also one of only a few Doctors in Maryland to achieve Advanced Proficiency Certification from Activator Methods. This adjusting technique is very low force and involves no twisting and cracking. Attended Nassau Community College - Garden City, N. Y.
LACC Spinal Rehabilitation Program 300 hrs. Happily married with three wonderful children!